Sum Cellar's funky other half is back for its 3rd successful club night. 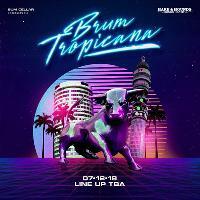 Sum Cellar's funky other half Brum Tropicana is back for its 3rd successful club night. After 2 SOLD OUT events at The Old Crown in Digbeth in June & Kings Heaths Hare & Hound in August we've decided to turn this into a regular shoobz. Imagine all your favourite Disco/Classics/Funk/Soul/House with a Sum Cellar twist.